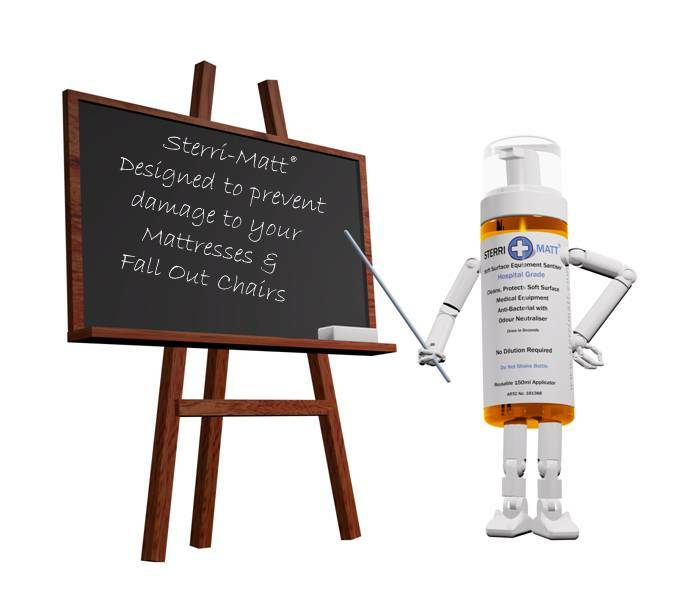 Sterri-Matt is a unique Australian company developing infection control products for the Healthcare Industry. Sterri-Matt provide a range of products and systems to improve both Soft Surface Asset Management and Infection Control programs. Sterri-Matt products are industry proven to save facilities money while solving many issues. Sterri-Matt products are endorsed by major manufacturers and suppliers of Beds and Fall Out Chairs. Sterri-Matt products are available throughout Australia and New Zealand and are backed by comprehensive education and training.